President Obama in August will welcome leaders from across the African continent to the Nation’s Capital for a three-day U.S.-Africa Leaders Summit, the first such event of its kind in the United States for African leaders. 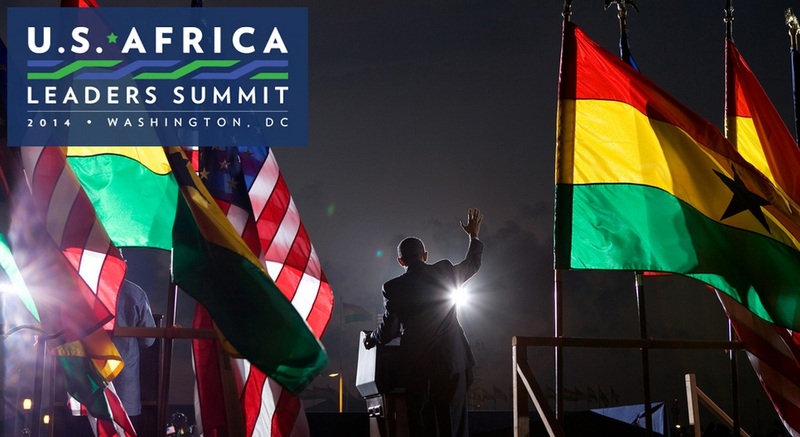 This Summit, the largest event any U.S. President has held with African heads of state and government, will build on the President’s trip to Africa in the summer of 2013 and it will strengthen ties between the United States and one of the world’s most dynamic and fastest growing regions. Specifically, the August 4-6 Summit will advance the Administration’s focus on trade and investment in Africa and highlight America’s commitment to Africa’s security, its democratic development, and its people. At the same time, it will highlight the depth and breadth of the United States’ commitment to the African continent, advance our shared priorities and enable discussion of concrete ideas to deepen the partnership. 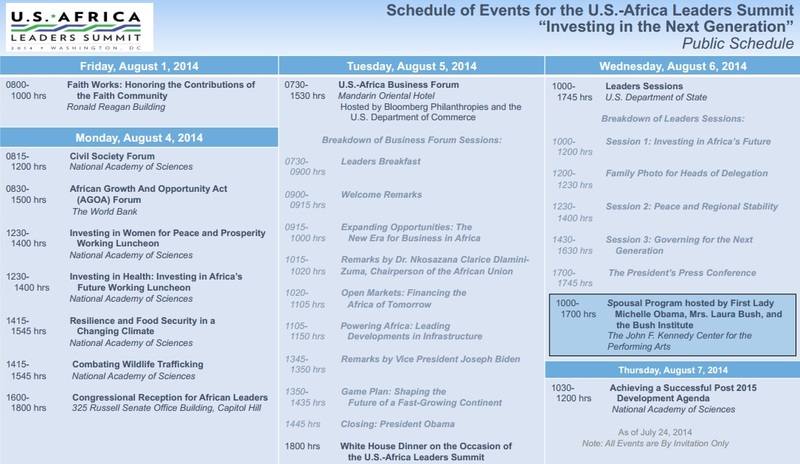 At its core, this Summit is about fostering stronger ties between the United States and Africa. The theme of the Summit is “Investing in the Next Generation.” Focusing on the next generation is at the core of a government’s responsibility and work, and this Summit is an opportunity to discuss ways of stimulating growth, unlocking opportunities, and creating an enabling environment for the next generation. 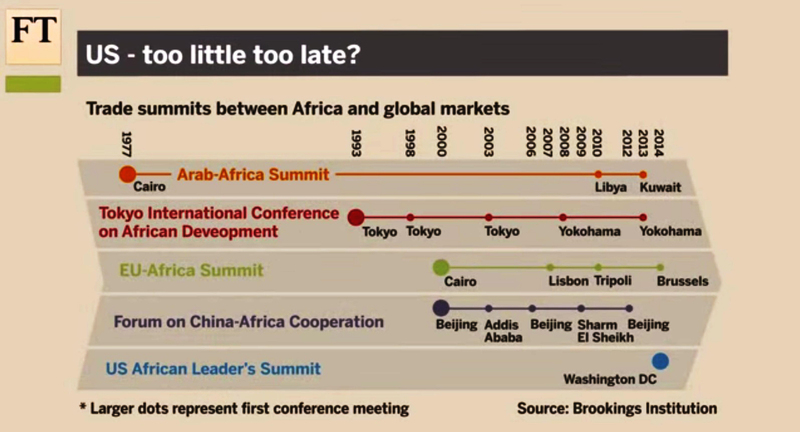 Video:US-Africa summit: is Obama too late? Assistant Secretary of State for African Affairs Linda Thomas-Greenfield previews the U.S.-African Leaders Summit at the Atlantic Council on July 31, 2014. Washington — Despite worsening crises in Ukraine, Gaza, and elsewhere in the Middle East, the administration of President Barack Obama hopes next week to focus at least some more positive attention on Africa. 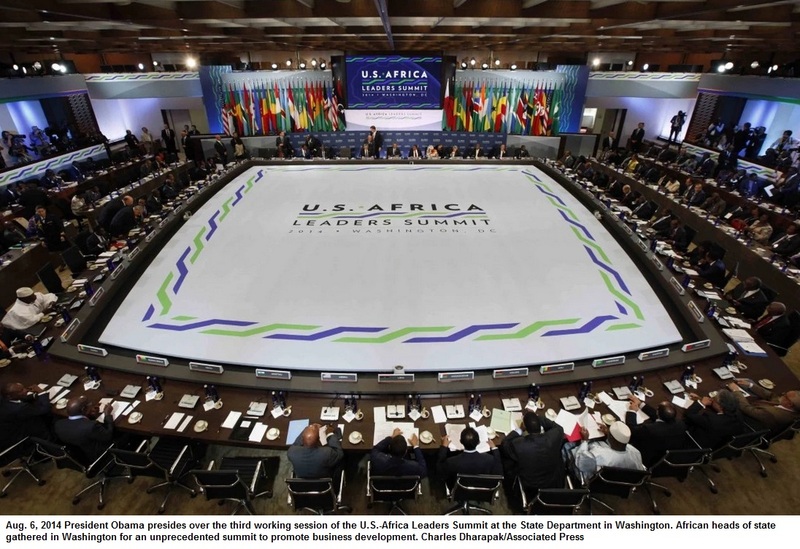 The U.S.-Africa Leadership Summit, which will bring presidents, prime ministers, and other top officials of some 50 African nations here, is designed to demonstrate Washington’s continued interest in the continent, particularly in matters affecting its pocketbook. In speeches and briefings leading up to the three-day meeting, whose centrepiece will be Tuesday’s U.S.-Africa Business Forum Tuesday, U.S. officials have highlighted the economic opportunities offered by increased trade and investment in Africa. “(W)e hope to see increased U.S. investment as one of the Summit’s key outcomes,” said Assistant Secretary of State for African Affairs Linda Thomas-Greenfield at the Atlantic Council Thursday in previewing the Summit whose theme is “Investing in the Next Generation”. “When we talk about the fact that most of the world’s fastest-growing economies are in sub-Saharan Africa, we’re also seeing a burgeoning middle class of African consumers and an expanding market for U.S. direct investment. This means enormous growth opportunities for American business and new jobs for Africans and Americans,” she told the group. Washington is being playing economic catch-up in Africa, a region where its military engagement has grown far more quickly, largely due to its efforts to counter the proliferation of radical Islamist groups in North Africa, Somalia, and the Sahel. The EU’s trade over the last decade has more than doubled to more than 200 billion dollars last year, while China’s trade with the continent has mushroomed from some 10 billion dollars in 2000 to more than 170 billion dollars in 2013. By contrast, U.S.-African bilateral trade has actually declined – from about 100 billion dollars in 2011 to only 60 billion dollars last year. The explosion in Chinese involvement with Africa is of particular concern to policy-makers here for strategic reasons, although they routinely go to great lengths to insist that they welcome Beijing’s commitment to promoting development in the region. “President Obama has made clear that we welcome other nations being invested in Africa infrastructure, and, frankly, China can play a constructive role in areas like developing African infrastructure,” Benjamin Rhodes, Obama’s deputy national security adviser, told reporters earlier this week. At the same time, Obama himself offered words of warning appeared designed to resonate in some African nations that have witnessed recent protests over Chinese labour practices. “(M)y advice to African leaders is to make sure that if, in fact, China is putting in roads and bridges, number one, that they’re hiring African workers; number two, that the roads don’t just lead from the mine, to the port, to Shanghai,” he told The Economist magazine. All but a handful of the region’s heads of state have been invited, and most, including the presidents of the region’s two economic powerhouses, South Africa and Nigeria, are expected to attend. Omitted were Zimbabwean President Robert Mugabe, the subject of U.S. diplomatic sanctions, Sudanese President Omar Al-Bashir, who has been indicted for crimes against humanity by the International Criminal Court (ICC), as well as the leaders of the Central African Republic (CAR), Eritrea, and the Western Sahara, which, despite its membership in the African Union (AU) is occupied by Morocco, a close U.S. ally. Despite his indictment by the ICC, Kenyan President Uhuru Kenyatta was included, in part because Nairobi is seen as a “key regional partner” of Washington’s, according to Rhodes. Sierra Leone President Ernest Bai Koroma and Liberian President Ellen Sirleaf Johnson, the region’s only female head of state and a long-standing Washington favourite, will reportedly be staying home in order to deal with the Ebola outbreak which has killed more than 700 people in recent weeks and which U.S. officials hope will not overshadow the “good news” of African economic growth and opportunity that the Summit will spotlight. Given his African roots, Obama’s 2008 election spurred hopes that he would give the region unprecedented attention. During his first term, however, he spent less than one day there – in Ghana – and offered no major new initiatives, although he maintained multi-billion-dollar funding levels for – and eased restrictions on – George W. Bush’s highly popular President’s Emergency Plan for AIDS Relief (PEPFAR). He also played a key role in securing independence for South Sudan and supporting UN and AU peacekeeping efforts across the region, especially in Somalia. Last summer, he travelled to Senegal, South Africa and Tanzania where he unveiled his “Power Africa” programme – an initiative designed to increase access to electricity to some 20 million households and businesses in six countries by leveraging some 14 billion dollars in private investment from seven billion dollars in federal aid and guarantees. 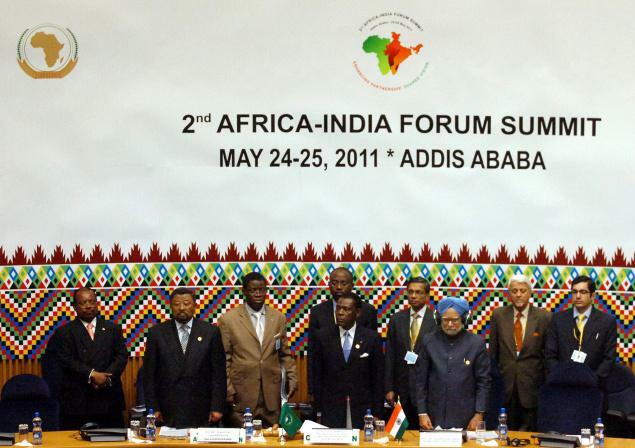 Congress has yet to authorise the programme, and officials hope next week’s Summit will boost its prospects, as well as those for the renewal of the African Growth and Opportunity Act (AGOA), a trade initiative launched under Bill Clinton that provides duty-free access for some 6,000 products from sub-Saharan Africa. It is due to expire next year. The Summit will also include an all-day conference at the National Academy of Science Monday for civil-society representatives, an event that was added to the agenda in response to criticism from human-rights, development, and anti-poverty activists here who complain that the Summit is too heavily weighted toward business interests. “There’s no doubt that this is a continent that is rising in economic terms,” said Emira Woods, an Africa specialist at the Institute for Policy Studies here. “But it’s also rising in terms of inequality and environmental damage, and these aren’t on the main agenda. “This is really a very high-profile photo-op to better position U.S. stakeholders to compete for the continent’s natural resources, particularly in oil, gas, mining, and biofuels, without regard to the basic human needs of its people at a moment when they lack even the basics of a health-care infrastructure that can effectively halt the spread of the Ebola virus,” she told IPS. Both China and India are growing economic powerhouses. Both China and India have nuclear weapons and space programs. China and India have been investing financially in Africa at the same time these nations have great needs for Africa’s natural resources. Europe has traditionally been the main region that has unfairly extracted Africa’s natural resources without the people and nations, of Africa, benefiting. Europe, on the other hand, has gained a lot of its wealth from Africa. Europe’s wealth extraction occurred greatly during the colonial period and continues within the post colonial era. 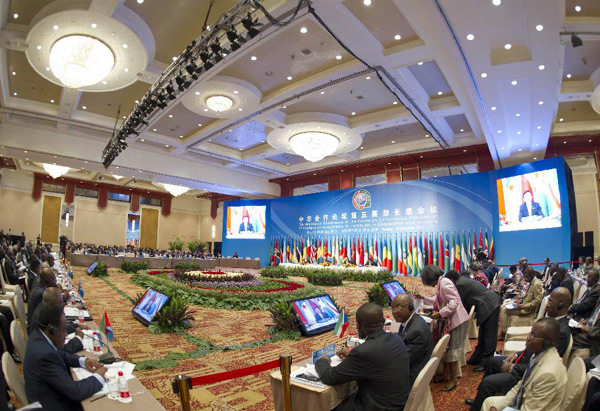 The first ministerial conference was held in Beijing from 10 to October 12, 2000. There have been 5 summits held to date, with the most recent meeting having occurred from July 19-20, 2012 in Beijing, China. 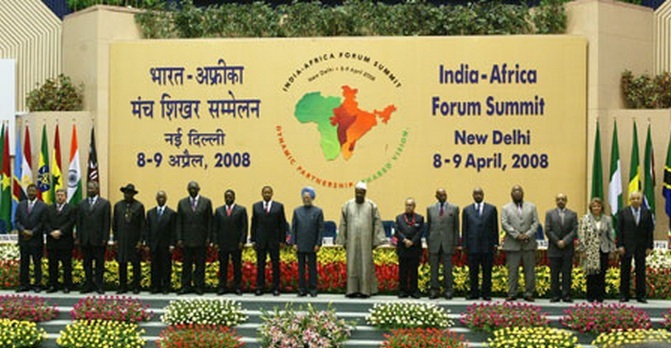 The first India–Africa Forum Summit was held from April 4 to April 8, 2008 in New Delhi.